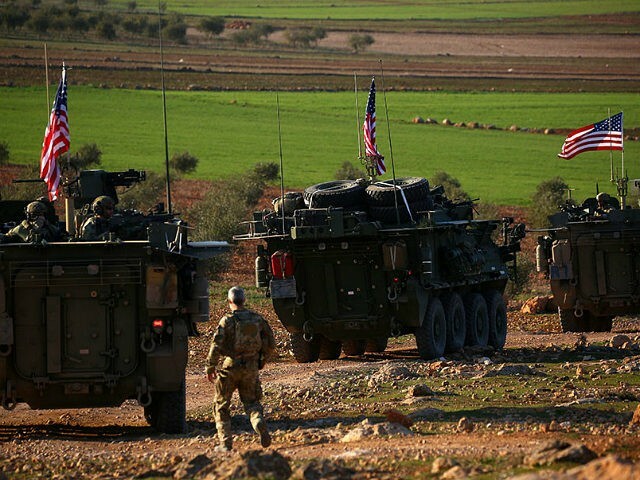 However, the Pentagon refused to say whether or not the United States is growing its military footprint in Syria when Breitbart News asked if the media reports are accurate. As far as Turkish intentions or the status of Manbij … the United States and Turkey agreed to establish a results-oriented mechanism to discuss all of the critical issues that face our relationship with Turkey. We are not going to get ahead of the process and speculate on potential outcomes or proposals. The specifics will emerge out of the work by our diplomats and experts as we allow these groups to come and work together. On Tuesday, Gen. Joseph Votel, the commander, said the U.S. is in a “very robust dialogue” with Turkey over Manbij, adding that the Kurdish People’s Protection Units (YPG/YPJ) are America’s “principal partner” against the lingering Islamic State (ISIS/ISIL) threat in the region. Votel’s comments came during an event sponsored by the U.S. Institute for Peace (USIP) on Tuesday. So where they feel the need to conduct operations for their own security, we have the ability to talk with them about that and make sure that we are deconflicted and that we are not putting our forces in a position where they have to make kind of binary choices here. Votel stressed that Turkey’s military invasion in Syria had slowed down U.S.-led coalition operations against ISIS. The United States is “working through” the “extremely complex” situation,” he continued, referring to Manbij. As allies of the YPG fighters who currently control Manbij, U.S. troops find themselves on opposing sides of forces fighting on behalf of America’s NATO partner Turkey. Turkey has threatened to seize Manbij from the U.S.-backed YPG after it pushed the Kurds out of Syria’s Afrin region last month. Although Ankara has long accused the YPG of having ties to the terrorist Kurdistan Worker’s Party (PKK), the United States continues to support the Kurds, often praising them as significant partners against ISIS.